MALE, Maldives – The president of the Maldives said Saturday that he was willing to hold an early presidential election to allow voters to decide who they want to lead the Indian Ocean archipelago, as political unrest continued to grow after a court ordered the release and retrial of political prisoners. Earlier on Saturday, Yameen fired a national police chief for the second time since the court order. Yameen’s office said he dismissed Ahmed Saudhee and appointed Deputy Police Commissioner Abdulla Nawaz to act as interim police chief. No reason was given for the dismissal. 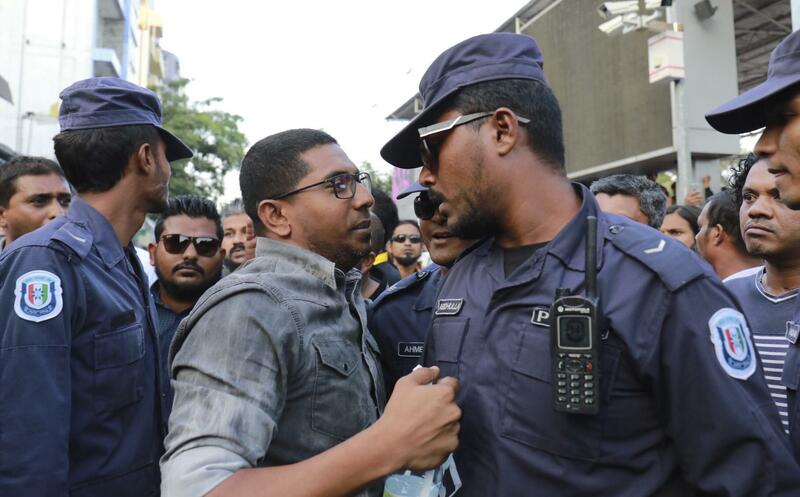 Protesters late Friday and early Saturday converged on a prison in the capital, Male, where the politicians are being held, demanding their immediate release, but police forced them to leave. They then moved to another location for a sit-in protest that was also broken up. Journalists were kept away from both events by police. On Friday, Nasheed, whose conviction for abducting a judge was overturned by the court order, said he would mount a fresh challenge for the presidency this year. Nasheed was sentenced to 13 years in prison after he was convicted of the abduction charge under the Maldives’ anti-terror laws in a trial that was widely condemned by international rights groups. Published: Feb. 3, 2018, 9:48 a.m.